When you choose for Columbus for your next meeting, you have a huge array of great hotels to work with. 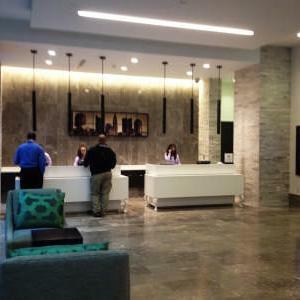 Recently, AAA awarded five Columbus hotels with its prestigious four-diamond rating. In the convention district, the new Hilton Columbus Downtown and the Renaissance Columbus Downtown earned the rating. The Hilton Columbus Easton, Hilton Columbus/Polaris and Embassy Suites Columbus Airport, which are all located in meeting-friendly areas of the city, also earned four diamonds. In addition to hotels, two Columbus restaurants earned four-star ratings from AAA reviewers. The Refectory, on Bethel Road on Columbus&apos; north side, serves incredible French cuisine out of building full of historic charm. M at Miranova also earned the rating. On the south end of downtown Columbus, M serves contemporary fare and creative cocktails in a modern space overlooking Columbus&apos; Scioto Mile. 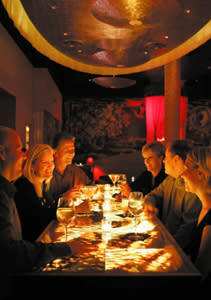 Either would be a perfect location for a board dinner or for a memorable night of client entertainment. AAA awards its ratings based both on the level of amenities offered and professionalism and helpfulness of the establishments&apos; staff.